By Chris Lynch, Partner, Atlas Venture The story of Yo will be used as a cautionary tale in the VC community for years to come. 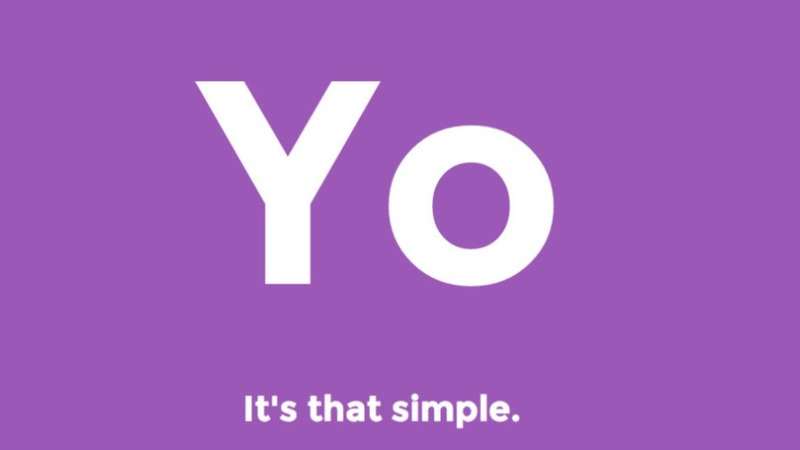 Only a few days after receiving a much talked about $1.2 million in series “A” funding from Angel investor and serial entrepreneur Moshe Hogeg, Yo suffered a massive security breach. The breach made more headlines than the funding, and took the wind out of the company’s sales – possibly for good. The jury is still out on the future of the Yo app but being hacked got the app in headlines for all the wrong reasons. How did the breach happen? Over the weeks that followed several journalists have offered their analysis including @VioletBlue: People invested $1.2 million in an app that had no security, @mikebutcher: App allegedly hacked by college students and @mthwgeek: Yo been hacked made to play Rick Astley. While the epic rise and fall of Yo and how Yo was hacked make for an interesting story, as an investor, this is not the part of the story that jumped out at me. The question I have is how did the experienced investor, Moshe Hogeg (or any investor for that matter) invest in a technology without learning about the development process of the technology? The app was built in about eight hours. What does that indicate about the QA process? What does that say about the security of the software? The eight hour development time is impressive, and demonstrates drive on the part of the apps’ developers. However, I have questions about the security of a product that can be developed during a single standard work day. And Yo’s prospective customers – the advertisement firms that they were inevitably selling this data to - would have asked the same question. When I listen to a start-up pitch me on their next-gen/transformational/whatever product, I always question if the technology is truly enterprise-class: is it scalable, reliable, and secure? One or two groups within an enterprise may order a few of your widgets without this, but if you are gunning for the big bucks, you want an enterprise-wide deployment of your technology. This requires you prove that your product is just as reliable and secure as the largest players in the market. Because no one gets fired for buying IBM. People get canned when they purchase software from a cutting-edge start-up that ends up causing a data breach and costing the enterprise millions. Security is just table stakes if you want to play with the big boys. This includes enterprises buying your product and VCs like Atlas Venture backing your company. When investing in a company, or product, it is essential that I understand everything I can about the technology – including the security of that product. It isn’t enough to scrutinize the need for the technology in the market and the product’s functionality. I must also understand how the product is developed, and if secure development practices are in use. Otherwise I am setting myself up to lose a lot of money in the event of a breach. As investors in new companies and technologies we are taking risks, and without investors taking these risks we will never see the next Facebook or Instagram. However, these risks we take should be calculated jumps, not leaps of faith. Investing $1.2 million into a company without this level of due diligence is irresponsible – unless you are looking for some sort of revenue loss tax break. I have a feeling Moshe Hogeg thought he had a winning product when he wrote that check. But he didn’t conduct a full due diligence process, and he is paying dearly for that mistake now. I feel badly for Moshe Hogeg, but I hope his misfortune can serve as a warning to the investment community as a whole and more broadly to buyers and users of software - whether they are consumers or businesses. Software security is as important as software functionality and simply assuming security was a consideration during the development process no longer good enough. Documented proof needs to be provided from these software development companies if they expect to get funding and ultimately to generate revenue. Senior Product Manager for Veracode’s application security platform including reporting, analytics and API feature sets as well are Veracode’s technology evolution from a monolithic architecture into MicroServices. Anne partners with Veracode customer’s to manage application security risk through new product features and functionality while enabling Veracode’s best in class scanning technologies.